Just as it had done 21 years previously with the revolutionary 'Traction'. 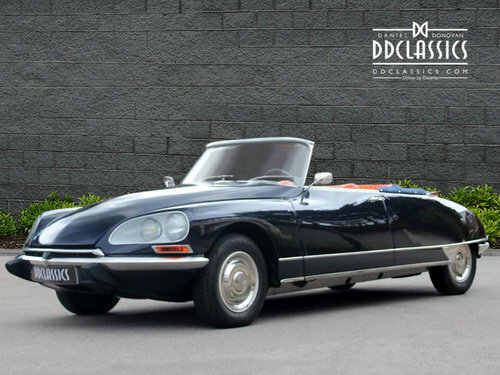 Citroën stunned the world again in 1955 with the launch of the strikingly styled 'DS'. Beneath the shark-like newcomer's aerodynamically efficient, low-drag bodyshell there was all-independent, self-levelling, hydro-pneumatic suspension plus power-operated brakes, clutch, and steering. 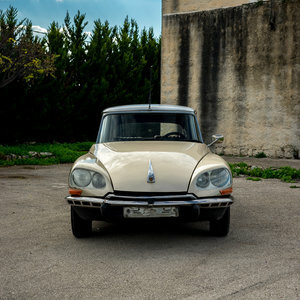 No European car would match the DS's ride quality for several years, the fundamental soundness of Citroën's ahead-of-its-time hydro-pneumatic suspension being demonstrated by its survival in its present-day top-of-the-range models. 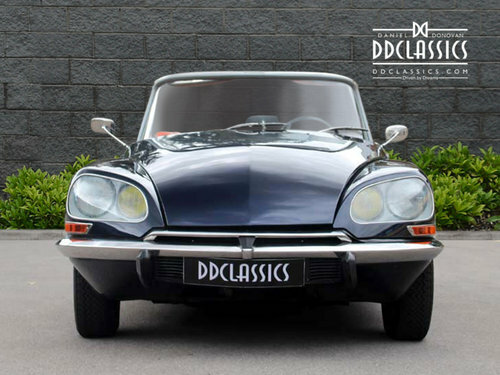 The DS's original 1,911cc, overhead-valve, the long-stroke engine was replaced in 1966 by a short-stroke 1,985cc unit, also available in 2,175cc and 2,347cc versions, while other DS developments included swiveling headlights, fuel injection and a five-speed gearbox. 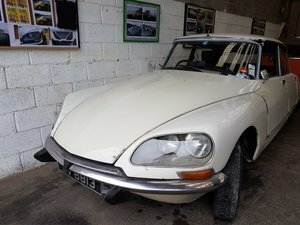 Other models offered alongside the original DS were the ID (a simplified, cheaper version), the cavernous Safari estate and the two-door Decapotable (convertible), the latter boasting coachwork by Henri Chapron. 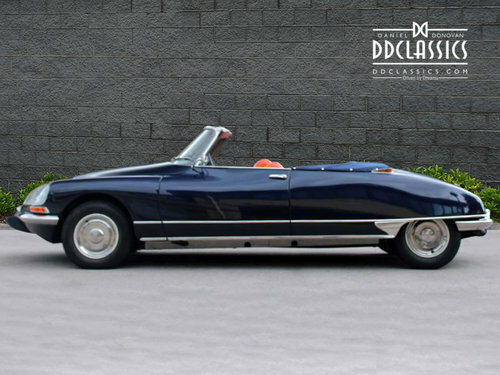 (Chapron's first convertibles had been produced independently of Citroën, but the factory eventually gave the project it its a blessing). 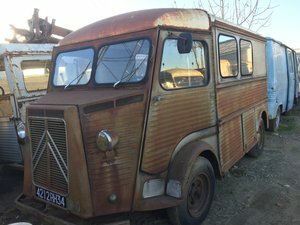 Citroën's Décapotables were built on the longer, stronger chassis of the ID Break (Estate). 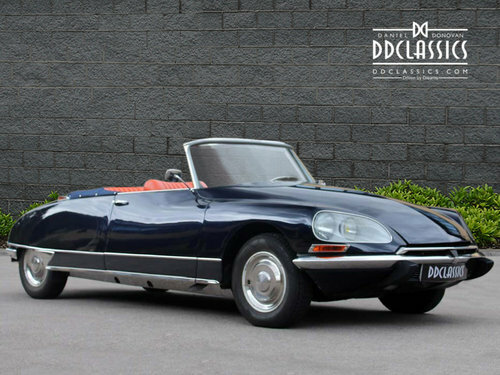 In total, 1,365 units (factory) convertibles were made with either the DS19 or DS21 engine between 1960 and 1971, while Chapron built a further 389 of his own, the last in 1973. 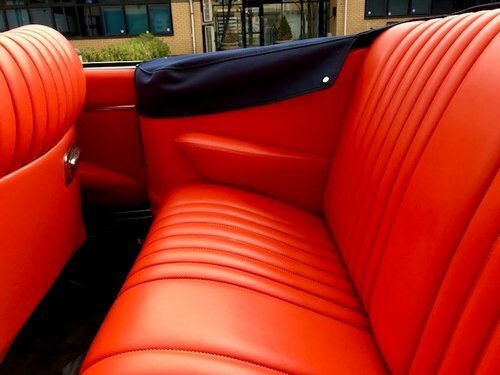 Finished in beautiful Royal Blue metallic coachwork with Fire hide, Charcoal carpets, Royal Blue mohair soft top and matching tonne finish off the iconic look of this incredible car. Painstakingly restored over a lengthy period leaving no small detail overlooked. 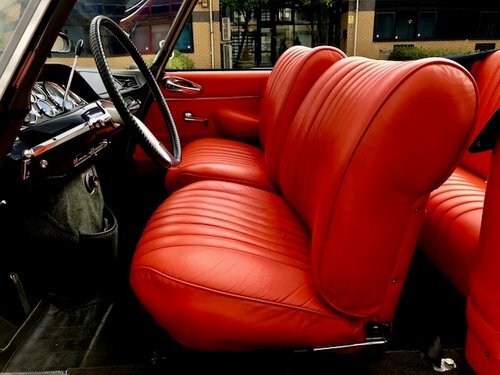 Upon completion, the car was exclusively featured in a European film to add to the importance of the car.